This adorable fox family is now enjoying a new home, thanks to recent relocation efforts made by The Humane Society. 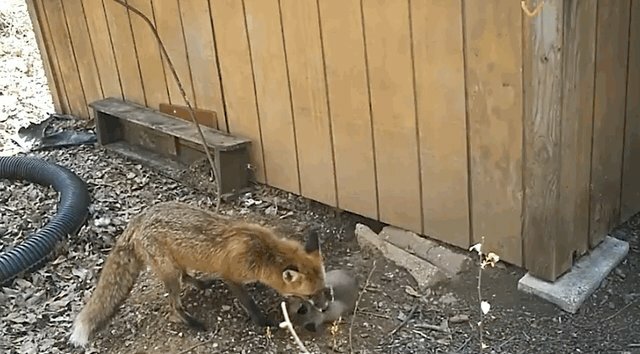 The organization received a call requesting that they evict a mother fox and her babies from beneath a backyard shed which was scheduled to be torn down. 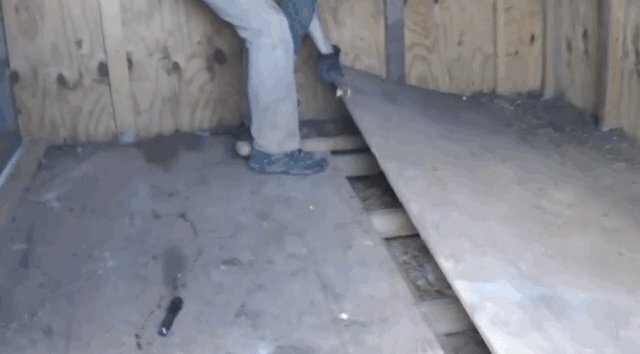 The HSUS team came up with a safe and effective method of ensuring that the mama fox and her kits relocated -- they pulled up the floorboards of the shed so that the den would no longer be usable, and then placed the baby foxes in a reunion box so their mother could retrieve them later. Sure enough, once the workers left, Mama Fox came back and coaxed her babies out of their box and took them to a new den that wasn't quite so close to human dwellings. *Editor's note - please remember that calling The Humane Society in this kind of situation is the correct protocol, and you should not attempt to deal with relocating or handling wild animals yourself.